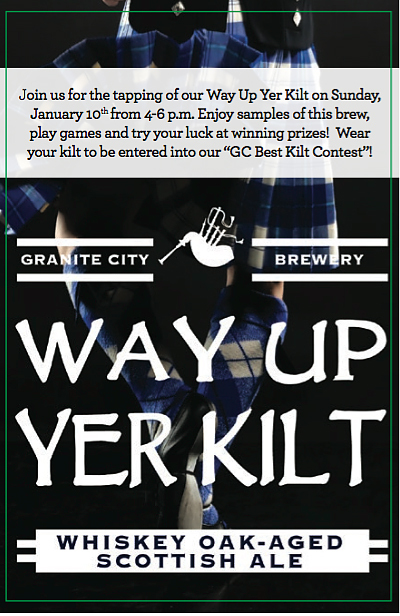 Join us for the tapping of out Way Up Yer Kilt on Sunday, January 10th from 4-6pm. Enjoy samples of this brew, play games and try your luck winning prizes! 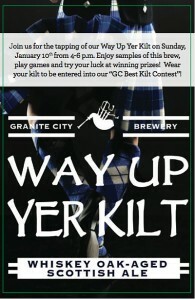 Wear your kilt to be entered into our "GC Best Kilt Contest!